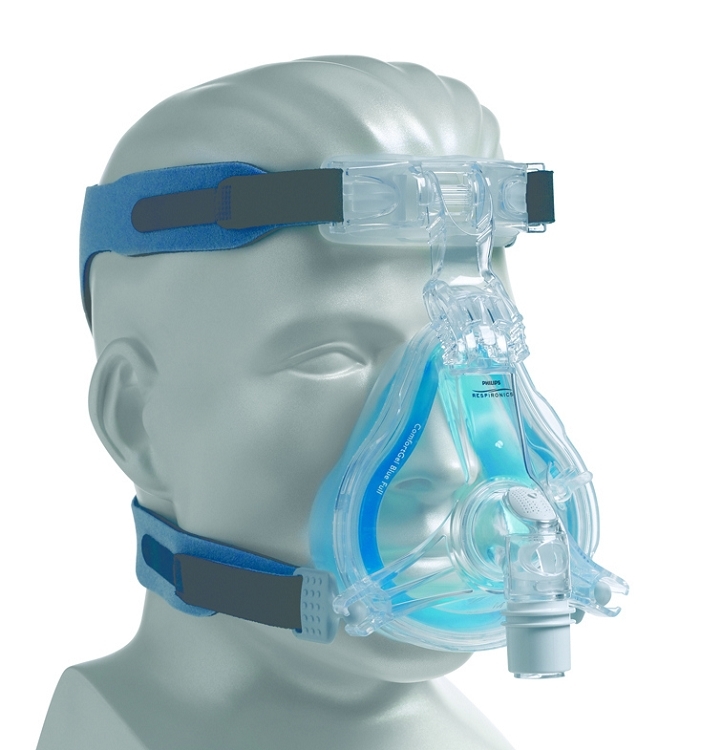 With the Small ComfortGel Blue Full, Respironics has incorporated the proven gel cushion and silicone flap sealing design of the popular ComfortGel Blue Nasal into a full face configuration. 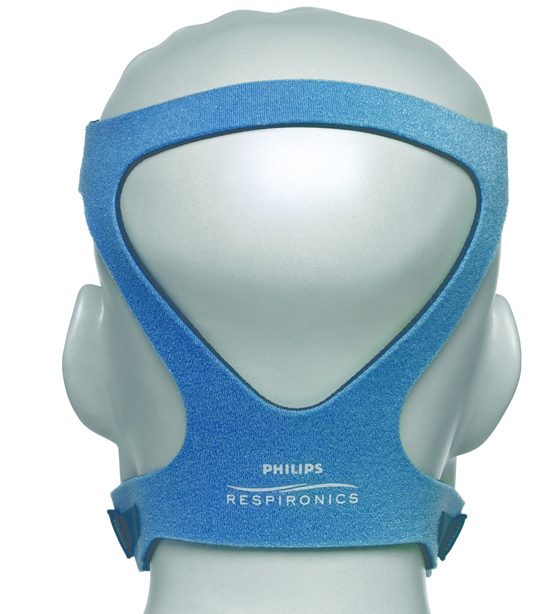 The result is a full face mask with the superior sealing characteristics of the original ComfortGel Blue Nasal Mask, combined with the new Stability Selector forehead support and ultra-soft forehead pad. In addition, the gel cushion and seal are removeable for easier cleaning and replacement, unlike the older ComfortFull mask. Put it all together, and you have a mask that should make a big difference in the quality of sleep for those who require a full face mask for their therapy. Replaceable gel cushion and silicone flap enhances comfort and provides a robust seal. Ball-an-socket Quick Clips allow for easy mask removal during the night. Premium headgear enhances stability while remaining cool and breathable. O2 connection port for O2 bleed-in or pressure measurement. Swivel connector for easier hose management also incorporates quick-release tabs to easily disconnect the hose for greater nighttime mobility. Enhanced Stability Selector allows for easier movement and optimum angle adjustment across the bridge of the nose. 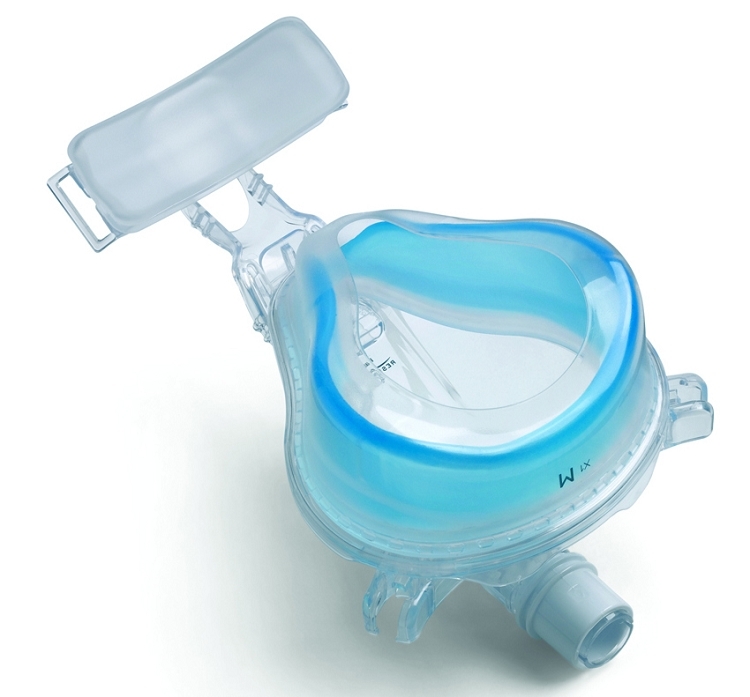 Exceptionally quiet exhalation port integrated into swivel directs air away from the patient and sleeping partner.